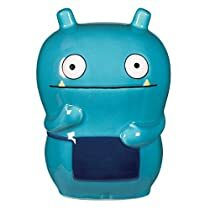 Uglydoll Wage Ceramic Coin Bank Blue, measures 5-1/4″ x 4″ x 3-1/2″. Durable ceramic construction. Manufacturer recommended age: 36 months – 15 years.